I love Dublin - it's a great town. There is so much to photograph and the people are just so nice (and of course, I love the accent). One morning there, I got up early in order to shoot the sunrise. 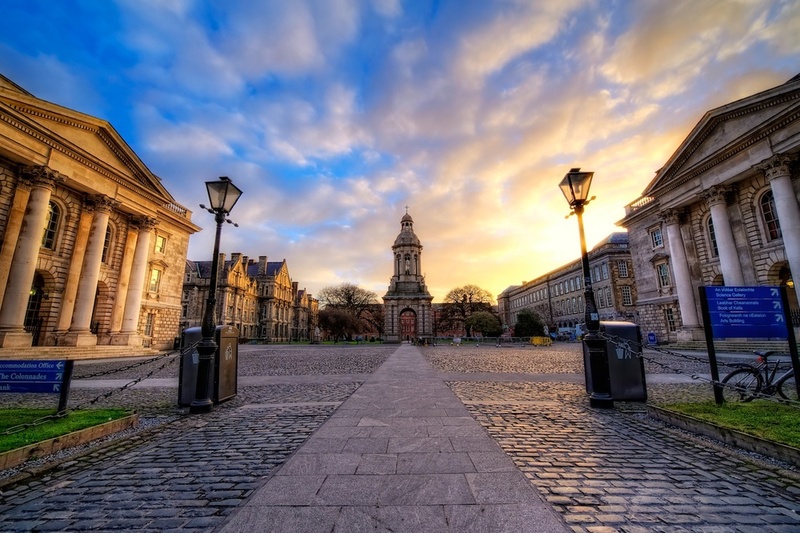 I had been wandering for a bit when I came to Trinity College. I had heard about this from some friends, and wanted to check out their Library which houses The Book of Kells. Sadly, the library was closed (this was early on a Sunday morning) so instead I continued to wander and shoot. And while I was at it, I went ahead and created a HDR Before & After comparison for your viewing pleasure (well, ok I did it for fun mostly). Anyways, thanks for looking!